The Libec Hands-Free Monopod combines with an included tripod base to create a versatile support system while recording with a video camera, camcorder, or DSLR. 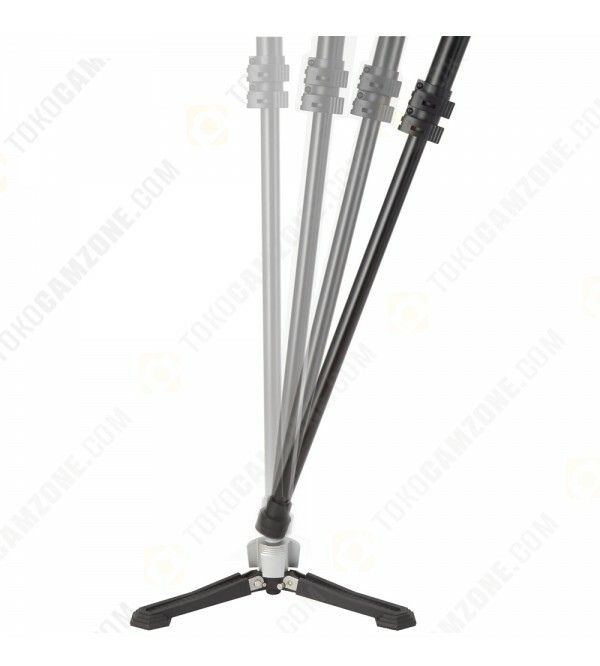 The base features fold-out legs that when deployed, produces a 17.3" spread, forming a stable, free-standing platform that allows the monopod and camera placed on it to swivel 360° and be tilted 20° in any direction. 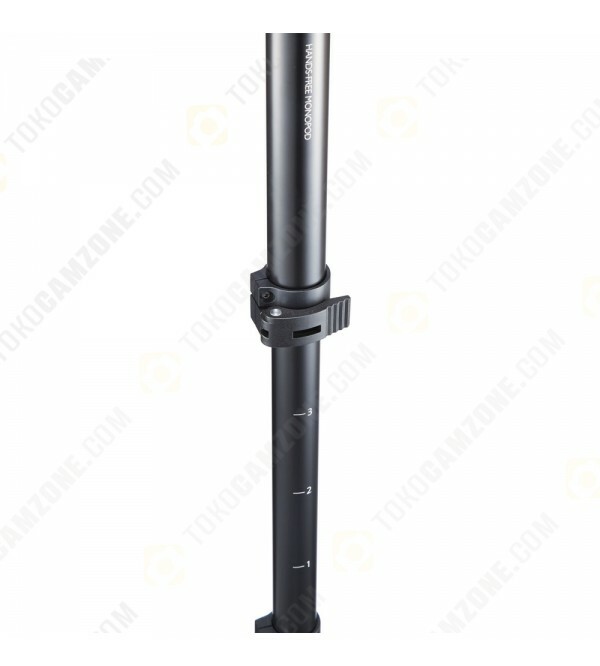 A foot-activated latch is positioned between the legs and the bottom of the monopod. Pressing and releasing the latch unlocks it, enabling the swivel and tilt movements for smooth angle or perspective adjustments. 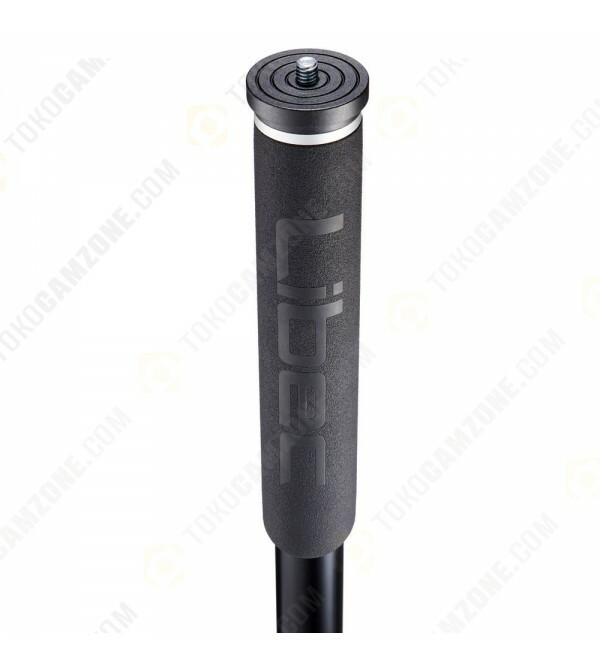 After recording a subject at a desired angle while gripping the monopod as well as the attached camera or a separately-available video head, the monopod can be returned to the upright position and locked into place by again pressing and releasing the latch. 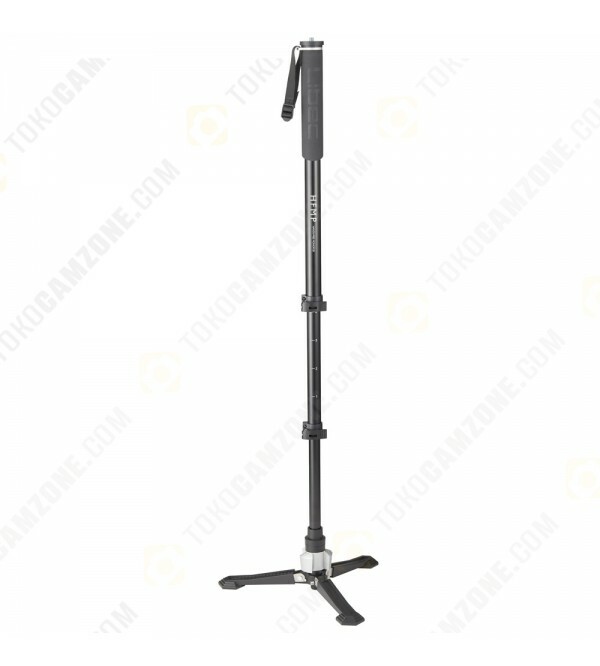 When configured with its tripod base, the Libec Hands-Free Monopod supports up to 17.6 lb and measures 28.9" when folded. 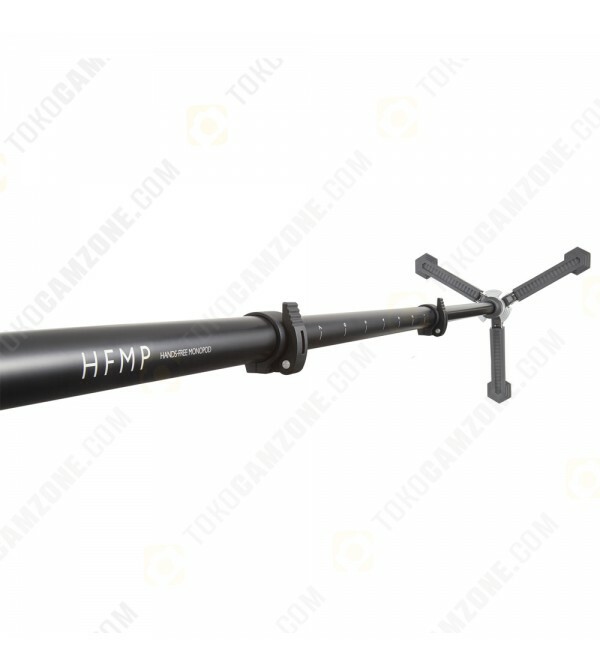 The monopod consists of three sections which utilize flip locks for fast deployment, and can be positioned for a minimum height of 29.1" to a maximum height of 69.3". A rubber cover along the top section provides a secure and comfortable grip while moving the monopod, and rubber feet on the base's legs help to enhance stability on a wide variety of surfaces. Tripod or monopod heads, as well as cameras, lenses, or sport optics that are directly compatible with a 3/8"-16 mount can be connected to the top of the Libec Hands-Free Monopod. It is constructed from aluminum-alloy for durability while remaining lightweight, has an integrated wrist strap, and includes a shoulder bag with a drawstring closure. Can be set for a minimum height of 29.1" to a maximum height of 69.3"